Simple and easy Pig Craftivity to go with books about pigs, farms, or any book in which the main character happens to be a Pig. Your students will have a fun time being able to have their very own Pig friend to interact with while they learn. 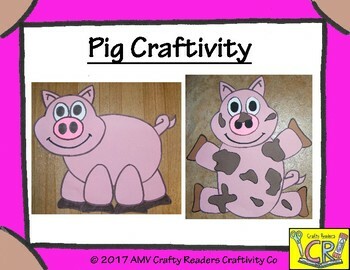 Check our facebook page https://www.facebook.com/craftyreaderscraftivities to see a list of suggested books to go along with your students new swine buddy.